There was a third candidate in the arena with Mitt Romney and Barack Obama last night as the ghost of George Bush hovered over the proceedings. It was a night that was a clear victory for Obama. CBS had it 53 to 23 percent in their poll of undecided voters while CNN had it 48 to 40 percent in their poll of registered voters. A battleground poll in the key swing states had voters there giving Obama 52 to 42 percent. OverallObama did himself some good and Romneycertainly did not advance but it is debatable how much ground he lost. Bush, like Banquo’s ghost in Macbeth, unsettledRomney enough that he never seemed to haveObama’smeasure. He was strangely passive and defensive. 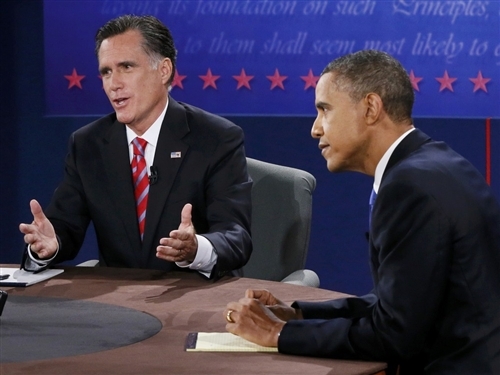 Obama had tried unsuccessfully to link Romney to Bush policies in the domestic debates but had failed—however. the shadows of Iraq and Afghanistan loomed too large for Romney to escape. As a result Mitt Romney came to play defense in the final debate but lost to a much more energized and feisty Barack Obama. It was a strange performance by Romney who may have decided that he needed to look presidential and not a hothead when it came to international affairs. What was clear was that Republicans still live in the shadow of George Bush and his failed presidency, especially on foreign affairs. Romneyknew he had to guard against reawakening echoes of the Bush era, now viewed as cowboy diplomacy at its worst. In the process however, he was silent onObama’sforeign policy. The Benghazi incident that most debate watchers had predicted would be the biggest issue was hardly raised. Obamamentioned Israel 43 times, a clear indication that he was safeguarding his nearly 4-1 lead among Jewish voters. Romney mentioned how many times he agreed with Obama and seemed to punt every time he had the chance to go for it. A puzzling debate that will have tongues wagging as to its ultimate impact for some days yet.